Henry Ong is a playwright based in Los Angeles. 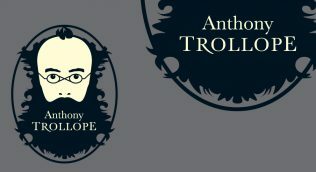 He is also a fan of Anthony Trollope and has adapted two of his novels, Rachel Ray and Nina Balatka for the stage. 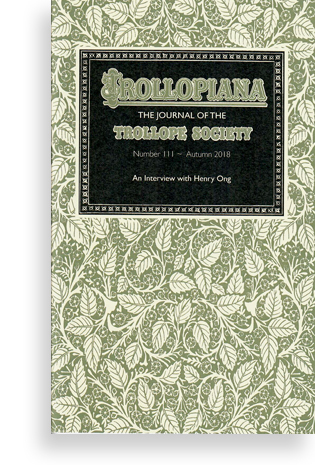 Professor Haruno Kayama Watanabe of Atomi University in Tokyo provides insights into the small but growing interest in Trollope amongst Japanese readers and academics. David Skilton is Emeritus Professor of English Literature in the School of English, Communication and Philosophy at Cardiff University. We remember the enormous contribution that Martin Chown, who died recently, made to the Trollope Society. Michael Williamson explains the work behind the creation of a new map of Barsetshire, and looks forward to the launch of a tea-towel featuring the map at this year’s AGM. Details of the itinerary for the forthcoming Trip to Prague this October. 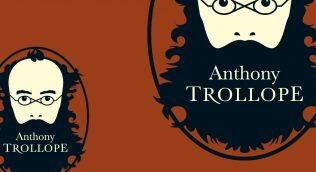 The contrasting ways in which the families of Nina and Anton react to the issue of inter-faith marriage may provide a clue into Trollope’s own thinking and I wanted to explore this on the stage.